A tip of the hat to reader David Imrie who (many weeks ago) let me know that CodeCanyon is willing to accept ColdFusion snippets. 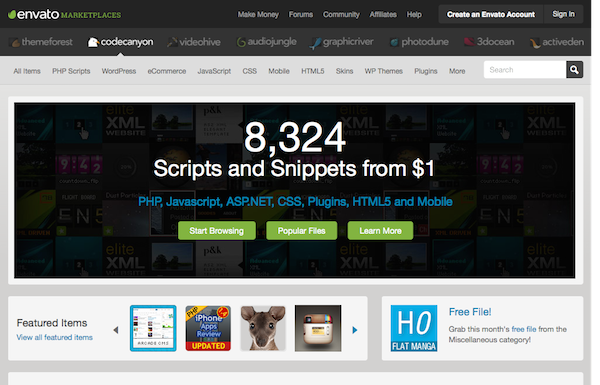 If you have no idea what CodeCanyon is (I didn't until David's email), it is a site that lets you buy/sell code snippets for various technologies. Obviously it is cool when folks share their code for free, but if you want to charge for your code, I say go for it, and this looks to be a good platform for helping you facilitate that.